When people are looking to use the number 311, they really do not have an emergency to report or anything like that. It is still a very useful phone number to use in different cities, but it is now a lot easier thanks to the development of 311 app options. For people who might not know, 311 is a number that can be used to get information, provide compliments and more non-emergency things. Since it is not an emergency, using an application on a phone or on the computer is going to be a pretty convenient way for people to use the number instead. There’s always the option of actually dialing the number if a person wants to, but it is not needed in these days. In fact, it is actually more convenient to use the app for a lot of people because it does not cost extra money. -Product Demos: Shoppers are often forced to visit stores to view products prior to purchasing. Offering a virtual product demo would however allow you to work around this. This can be placed on top of pictures of the item, it’s price and store availability. This way, consumers will be more inclined to buy. -Customer Service: Integrating this into your mobile app would simplify the process of resolving queries from customers. -Shopping List: This information would allow consumers identify what they need and create a list of products they’re interested in buying. Besides, you could prompt them to purchase the items at once or take just a few and save the others for later. With experts eliminating all doubts about the importance of mobile, establishments of all sizes have started re-thinking their strategies. Developing an effective app is all about ensuring one builds a robust platform that engages a highly active customer base. Practical small business apps should make things easier and more convenient for the end user. Before you create an app for your organization, ask yourself if you are willing to put in the time to keep it running properly. Apps may seem like a great idea at first, but they will require fine-tuning if you want them to work properly at all times. 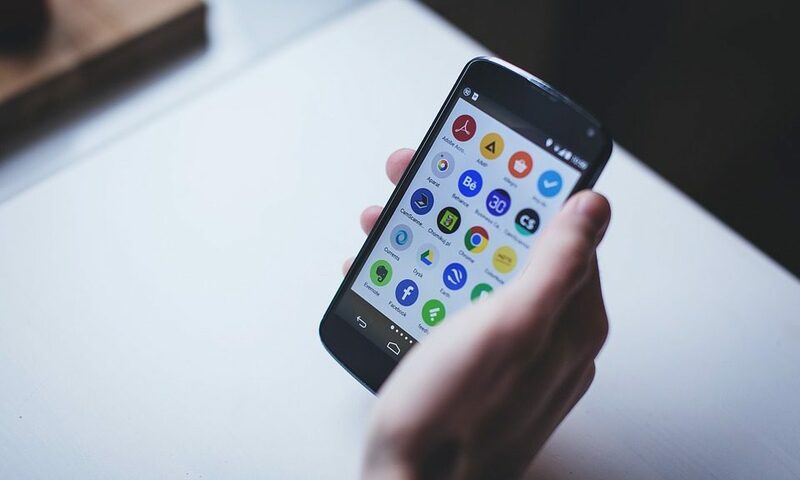 If you can envision your company profiting from an app, familiarize yourself with small business app development before you make any visceral or monetary investments. Simplicity is the key to making an app that will be acceptable to the general public. Users want to be able to go to your app and reach their destination in three taps or less. If it takes too long, they may not see the difference between your website and your app. If this happens, you will receive very few downloads and recommendations. In the field of small business app development, it’s important to have something that not only fills a need, but that can also offer functionality. Of course, even with the very best app, you’re still going to need to have a way to have our app stand out in the humongous crowd of competition. While developing an app is something you can definitely outsource to a freelance developer, it’s important to ensure that both you and the developer are on the same page. You should have a very clear idea of what you want in your new app. Make sure you have very clearly defined ideas and understand exactly what you want your app to accomplish. Discuss this plan with your developer, but also lay out specific milestones and contract plans when speaking with a potential developer. It’s important to hire someone who is well-equipped to follow your plan and deliver on schedule.